An avid chef, forager, fisherman and outdoor enthusiast, Gerard Nebesky brings his love of family, eating, and community to his work. His signature dish, for which he is best known, is his award winning paella. 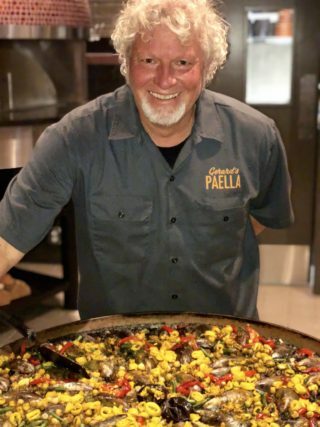 An owner of a successful catering company for the past 12 years, Gerard has recently opened a Spanish restaurant in downtown Santa Rosa.